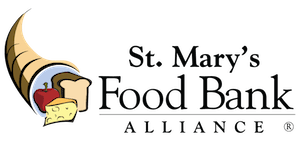 St. Mary’s Food Bank is seeking a hands-on logistics Safety Manager. This position will be responsible for coordinating safety programs, employee training, workplace inspections, investigations, and recommendations in the safety of the organization. This is not a sit behind a desk safety position and will require multi-site responsibilities. Review employee safety programs to determine adequacy. Write and revise safety regulations and codes as warranted. Interpret safety regulations for others interested in industrial safety such as safety engineers and inspectors. Maintain liaisons with outside organizations such as fire departments, police, and medical facilities, so that emergency responses can be facilitated. Create, coordinate, and conduct worker training in areas such as safety laws and regulations, hazardous condition monitoring, and use of safety equipment. Cover topics that include logistics safety, OSHA, DOT and local regulations governing incident and injury prevention in the work place. Track training of employees and ensure re-training of employees occurs per required safety laws and regulations. Investigate accidents, injuries, or occupational illness / diseases to identify causes or to determine how such accidents, injuries, or occupational illness / diseases might be prevented in the future. Interview employees and supervisors / managers to obtain information about work environments and workplace incidents. Recommend processes and product safety features that will reduce employees' exposure to chemical, physical, and biological work hazards. HACCAP certification preferred or willingness to acquire certification 6 months after employment.